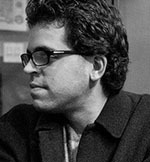 Hello Cartoon Researchers! Long time no post…and I hope all of you have been well. This year has been a particularly difficult one in my little offshoot of the Stathes family, and the Cartoons On Film archives have also suffered quite a bit as well. I’ll spare readers the unfortunate details about that situation for now, but I invite anyone who would like to read up on what happened and possibly help to learn more here. On a much lighter and far more exciting note, I’m proud to announce a surprise new holiday home video release that all of you will truly enjoy. If you’ve had the opportunity to enjoy my two prior home video releases, Cartoon Roots and Cartoon Roots: The Bray Studios—Animation Pioneers, you’ll know that I have made it my duty to curate collections of early animated films for contemporary audiences. But let’s be kind and rewind for a moment. 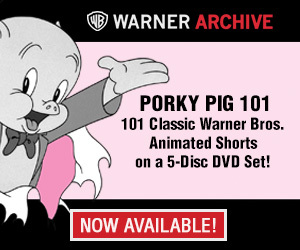 As a young child in the VHS era, interested in animation history, I found researching and viewing the oldest surviving cartoons to be a difficult task. 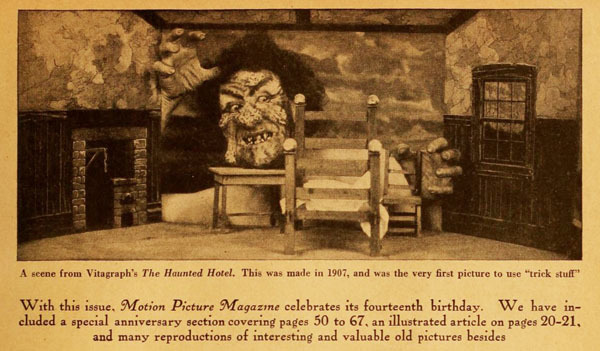 Many of the films in this subgenre were considered (and still are) completely “lost”; the majority of extant examples were housed in non-circulating private collections and institutional archives, and only a tiny percentage of those lucky specimens found themselves on the open market for home viewing. Something had to be done. 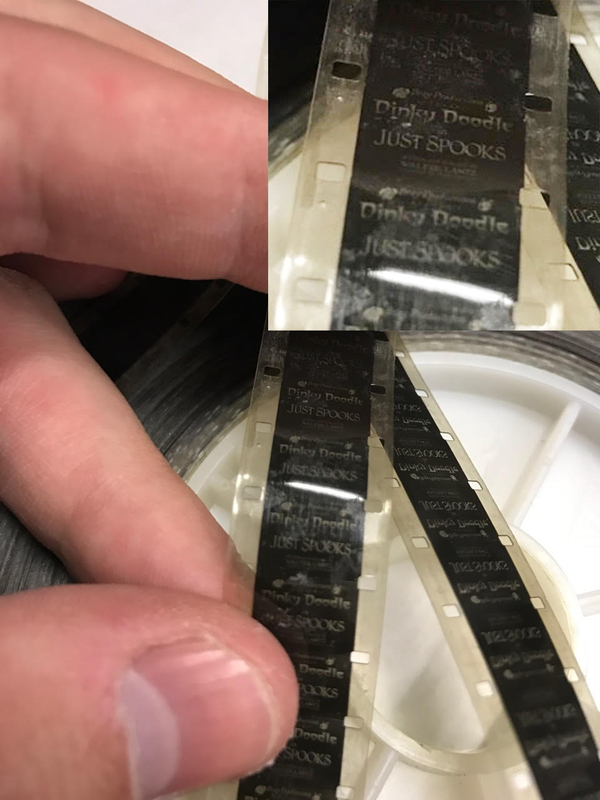 At some point in the twenty odd years that I’ve been collecting archival film prints of these early films (initially for my own viewing), I realized that I needed to try and correct the problem I faced as a child by gradually making my finds more viewable and accessible to the general public. In 2009 I began my 16mm Cartoon Carnival screenings, a series of now-monthly New York City retrospectives of early cartoons shown with a “reel” film projector, just like in the old days. There have always been popular holiday-themed animated cartoons, and our holiday screenings are among the most enjoyed and well-attended. 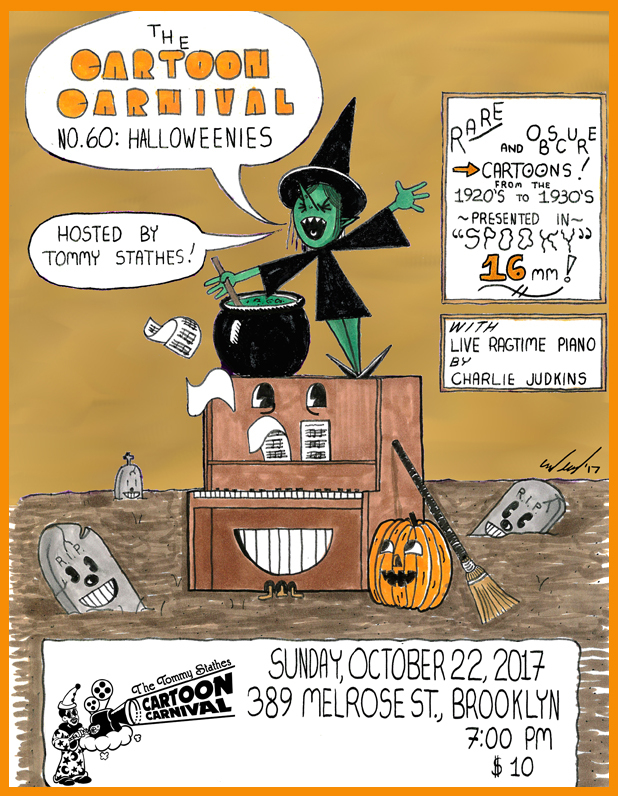 Speaking of 16mm screenings…if you’re in the New York City area, check out this year’s Halloween edition of the Cartoon Carnival, happening this Sunday, 10/22/17, in Brooklyn NY here — I’ll have copies of Halloween Haunts available there in person! 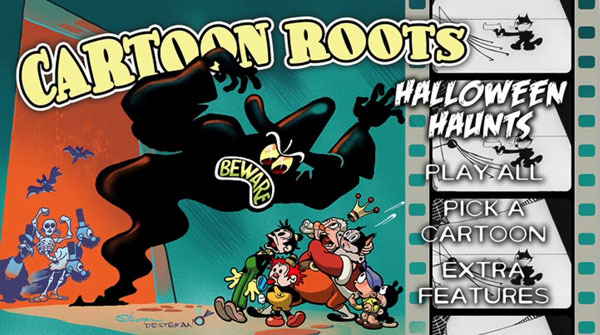 For this latest Cartoon Roots release, it is my absolute pleasure to bring you a glorified sampling of the films we enjoy at our annual Halloween 16mm Cartoon Carnivals—except with brand new 2K restorations performed by a team of very talented colleagues. Production of this endeavor would not have been possible without the commendable efforts of Devon Baxter, Stephen DeStefano (check out that blood-curdlingly cool cover art below!) David Gerstein, David Grauman, Thad Komorowski, Steve Stanchfield, and Maira Vergara. 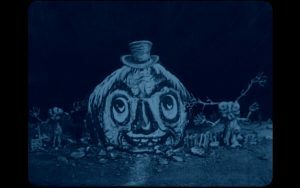 In the spirit of my live shows, and as a means of paying homage to the small-gauge formats that serendipitously preserved older theatrical cartoons that no longer survive in 35mm form, with original title cards, we’ve “preserved” the manner in which some of these films circulated in 16mm— with interesting reissue title cards—long after their theatrical showings ended. Also included are galleries of behind-the-scenes extras and an informative booklet with liner notes—all together in one Blu-ray/DVD combo package, so buyers with either kind of player can enjoy this set! For October 2017 alone, Halloween Haunts can be purchased two different ways…directly through me (there’s an incentive***), or here on Amazon. Amazon orders in the U.S. will be shipped via First Class mail through October 31st, and via media rate after that date. All international Amazon orders will ship via First Class. Direct orders: simply send US$25 (for U.S.A. residents), US$30 (for Canadian residents), or US$35 (for all other international residents) to me via PayPal at cartoonsonfilm@gmail.com. Be sure to include your shipping address. ***Domestic U.S.A. orders made directly with me through Saturday, 10/28/17 will be shipped via Priority Mail, for speedy delivery, at no additional cost to you! International orders will all be shipped via First Class. All orders made on Amazon or directly through me in the next couple of days will be processed this weekend, and will be sent out early next week (i.e. 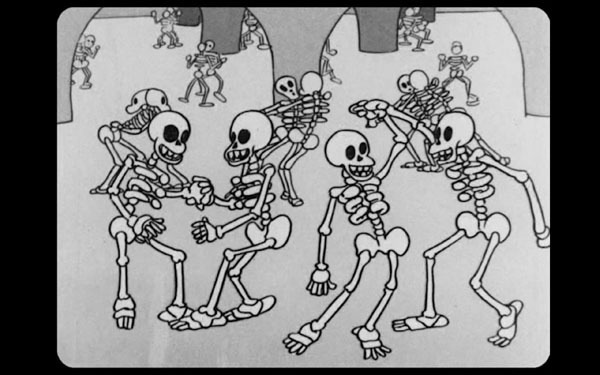 Monday 10/23, Tuesday 10/24, etc.) If you see a shipping label preparation notification via Amazon or Paypal before those dates, please keep in mind that shipment will still only take place next week. Pre-orders made through early social media and forum announcements will be given priority, but will also ship out in the same general timeframe as new orders. After 10/31/17, all orders should be made through Amazon. 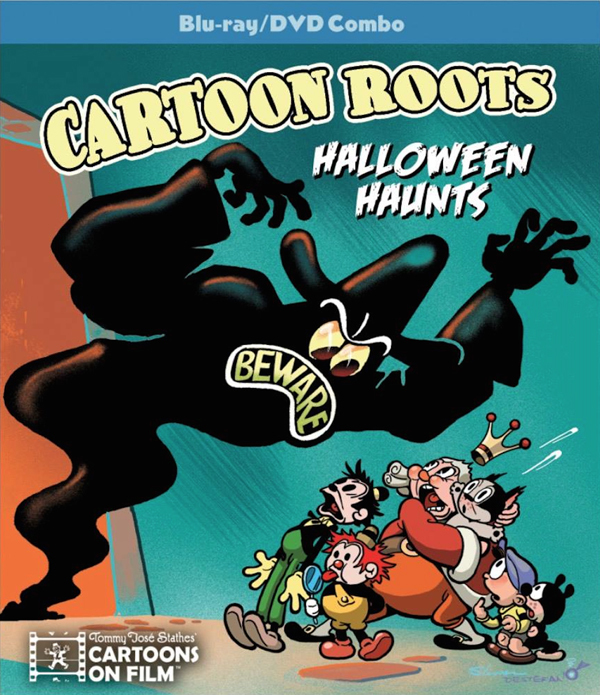 However, feel free to contact me if you cannot purchase any of the Cartoon Roots volumes there for some reason, and I will happily accommodate you. Lastly, there’s always a rush of orders when a new release comes out, and a bit of bottlenecking results in the workflow over here—so I apologize for any delays in communication over the coming days as a result of that, and I thank all of you in advance for your patience. In any case, I’m sincerely looking forward to your thoughts when you receive the set! Note: Halloween Haunts was a secret project in production for quite some time. 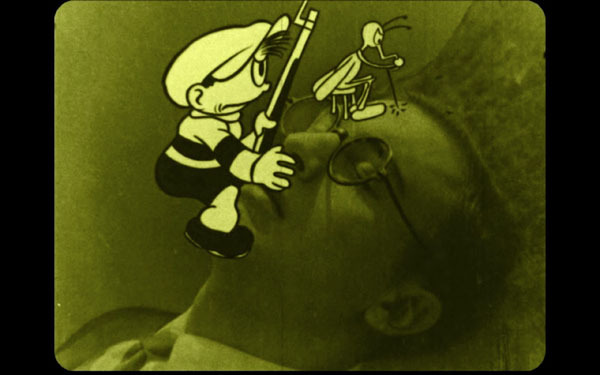 Cartoons On Film’s long-awaited Bobby Bumps collection is also back in production and is now slated to be finished for Kickstarter and Indiegogo backers, as well as the general public, later this year. To those of you who crowd-funded the production of Bobby Bumps, thanks kindly again for your support and your continued patience! The finish line is finally near. In the meantime, you can check out its Indiegogo campaign’s update section for sporadic news. I’ll be back at Cartoon Research with more exciting news over the coming weeks, and a little heads-up: 2018 is going to be a promising year for the Cartoon Roots series. That’s all I’ll say for now. 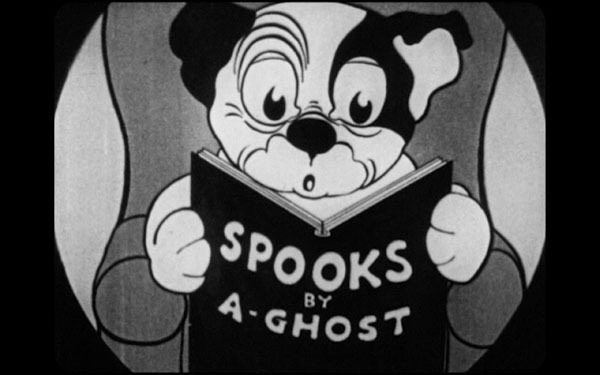 In the meantime, Happy Halloween, folks! Thanks Jonathan! The short answer: no, sadly. Thanks for another great set, Tommy! 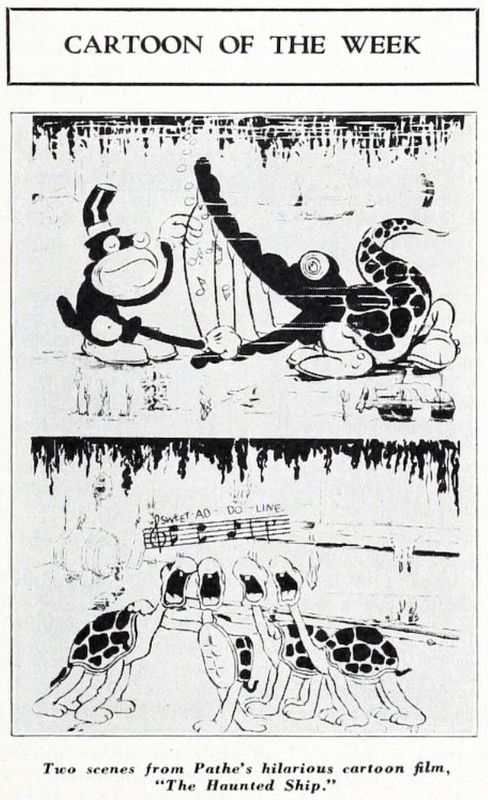 Question for you…would you consider taking your 16mm Cartoon Carnival show on the road? If you came out to either the Chicago or Detroit area (the beautiful Redford Theatre in Detroit or the stunning Michigan Theatre in Ann Arbor would be great venues!) I wouldn’t miss it! Thanks Scott! 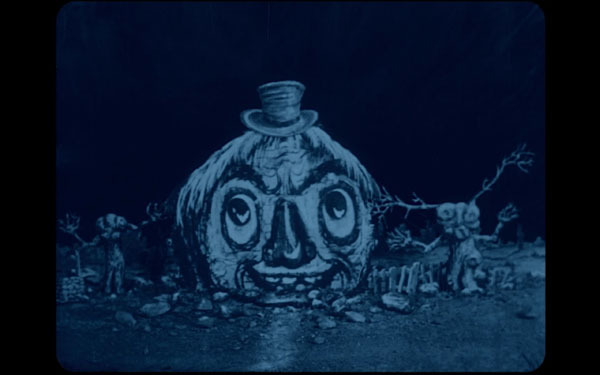 In short, I would love to take the 16mm Cartoon Carnival on the road—but that would only be possible if I can still get ahead without taking a $$ hit for travel costs, and if family responsibilities are not an issue for a given week. Fingers crossed this could happen someday. Gotta make it out to one of the shows sometime, Eric, and introduce yourself. And yes, let’s talk soon about the Hurd material!